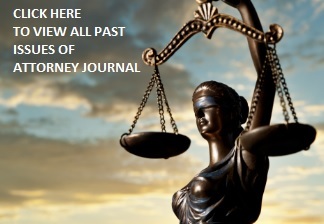 Receive 12-monthly (hardcopy) issues to Attorney Journal (aka Attorney Journals) via U.S Postal Mail to your mailing address for just $24.95. That's a 70% savings off our per issue price! Subscribe NOW by clicking the PayPal button below.